A joint resolution passed with bipartisan support in 1994 designates May 11—the anniversary of the issuance of the Manifesto of the Non-Violent Movement for Human Rights in Vietnam—as Vietnam Human Rights Day. Dr. Dieu-Thi Nguyen began the event by speaking about the history and significance of the Manifesto and the importance of Vietnam Human Rights Day to the Vietnamese-American community. Also addressing the assembled guests were Senator John Cornyn (R-TX) and Representative Gerry Connolly (D-VA), as well as representatives from the US Department of State and other international human rights organizations. What a beautiful day to be fighting for human rights. It is so good to see friends here continuing the struggle for truth, and memory, and justice for the people of Vietnam.  I’m here to let you know that the Victims of Communism Memorial Foundation stands in solidarity with all of you to remember and tell the stories of those tens of thousands of Vietnamese who were killed—the landowners and farmers—during the so-called “land reforms.” We are here to tell the stories of more than one million Vietnamese who suffered and many who died in the re-educations camps of Ho Chi Minh’s “paradise.” We’re here to tell the stories and remember those who bravely fought to defend their homeland against the international scourge of communism. And it’s important to remember—not just for Vietnamese, but for Americans and others around the world—that the guilty Party is still in power. It seems that a lot of people my age in Vietnam that have a pretty positive impression of freedom. They don’t seem to want to keep the Communist Party of Vietnam in power. Frankly, the Communist Party of Vietnam is in a tight place. They need the United States right now. They’re afraid of the People’s Republic of China—the world’s most powerful communist totalitarian state and their bitter rival in the contest of tyranny. China is showing the world that innovations in communication and technology in a digital age are not necessarily going to lead to greater freedom and democratic reform. The stories come out every month now: that the PRC has made new progress in establishing the world’s highest-tech totalitarian state with facial recognition technology that is fed into a national system. Neighbors report on neighbors, and you are assigned a “social credit score” on how useful you are to the Chinese Communist Party. This affects your ability to apply for colleges and jobs, or your ability to travel inside China. And now China has exported this censorship sphere to the entire nation of Nepal. So it is very important that we are aware that internet technology and the ability for citizens to communicate within countries like Laos and Vietnam is crucially important to changing things for the better. And the United States, of course, has a role to play in that. We at Victims of Communism found it very perplexing this past week that the People’s Republic of China donated a massive Karl Marx statue to the city government of Trier, Germany. They did this as part of a global campaign to mark the 200th anniversary of Karl Marx’s birth. Even though the citizens of Trier, Germany didn’t necessarily want the statue, the government accepted it and the European Union at the highest level participated. European Commission President Jean-Claude Juncker spoke in Trier this past week and disconnected the ideas of Marxism from the atrocities of communist regimes over the last 100 years. And so we are here to say, and I think in agreement with all of you, that ideas have consequences and that we had better learn the lessons of the last century. Marx, just as a recap, denied the truth of individual liberty, and therefore, the very philosophical foundations for individual rights, human rights, justice, and democratic government. He embraced violent political action as the means to bring about his utopia; and he denied the very idea of God or transcendent truth and, therefore, removed any moral limitation on man’s action, and therefore, state action. It’s no accident that every single one of the forty communist countries since 1917—the Bolshevik Revolution—have viewed Marx as their intellectual and ideological godfather. He is the godfather of the world’s deadliest ideology, and it’s important that we understand that. Whatever comes next after the communist party is no longer in power in Vietnam, has got to be a government founded on the idea that all people are created equal, and that they are endowed with certain inalienable rights: life, liberty, and the ability to be in charge of their own future—to pursue happiness, not least through the ownership of private property. The young of Vietnam, like the young people of Laos, and North Korea, and China, and Cuba, want a brighter future. And we must work with them to make sure that that is the case. Because, unfortunately, it is true that these ideas that are still holding captive the lives of young, talented, bright, ingenious young Vietnamese are now being put into practice for the first time in places like Hong Kong and in Venezuela. Venezuela, two decades ago one of the wealthiest countries in the Western Hemisphere has been reduced to another failed economic state because the regime followed the ideas of Marxism. When, finally, the people of Venezuela tried to enact democratic reform, Nicolás Maduro, the successor of Chávez, the puppet of Havana and the Cuban Communist Party, killed protestors in the streets, disbanded the parliamentary assembly, and has now established the Western Hemisphere’s newest single-party Marxist state, all under our very noses. So as a young millennial, I am a little angry, that our generation, in a new century, has to fight the failed ideology of communism. Communist parties in power are the clearest road in history to destitution, famine, economic poverty, and human suffering. And that’s why we’re here today. Ideas have consequences. Freedom works and totalitarian communism does not. We have to oppose it and we have to fight for freedom. That’s our cause. Thank you.